As we go into week 3 of the NFL season, most fantasy teams are beginning to come into focus. Undefeated teams are riding high, while some owners are saddled with the dreaded 0-2. No matter how your team is doing, it is always important to be looking for ways to improve. Trading a hot starter or grabbing someone else's struggling star are great ways to get better, but how do you know when to make a move? Let's take a look at a couple of players and the potential trades that could make or break fantasy teams. Before the season, C.J. Anderson was a consensus first or second round pick. After two games he has struggled mightily, leaving fantasy owners impatient and worried. This seems like the perfect scenario for competing managers to take advantage and pick up a star for pennies on the dollar, but is it? At the risk of hedging, it depends on the situation. On the one hand, I don't think that Anderson cedes the starting job barring continued injury problems. He is still easily the most talented all-around playmaker in the Denver backfield. The problems that could arise over the remainder of the season will come if the Broncos offense as a whole struggles. In my opinion, this will depend on whether Gary Kubiak continues to force his offense on Peyton Manning or he bends and lets Manning call the plays as he has in the past. If Peyton and the Broncos (particularly Demaryius Thomas) get going, Anderson will follow suit. Verdict: Buy, but only at a discount. 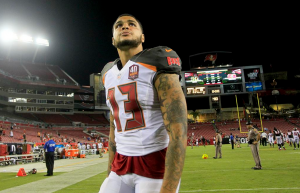 Mike Evans is dreaming of better days ahead. Before the start of the season, I wrote that I did not think that Evans would perform up to expectations. Obviously, the problem so far has been health rather than performance issues. Either way, fantasy owners have a big donut from Evans so far and are likely getting restless. Evans was held back in week 2 as he was still healing, but in week 3 the training wheels are coming off. This means that the window to buy low may be closing. I still like Evans to put up solid yardage totals for the season. I think that Winston will lean on the veteran Vincent Jackson a bit more in the red zone as they are developing a rapport. The team is now without Austin Seferian-Jenkins for a couple of weeks and they will be playing from behind, so both wideouts should see some targets. The question is whether Winston can make those targets count for anything. I think that he will complete enough passes to make Evans a viable threat most weeks. Verdict: Hold Evans, his trade value is too low right now and better days are ahead. Another player listed in my risky draft picks article, Graham has been far from dominant to start the year. Week 1 was at least productive, but in week 2 Graham was only targeted twice and was visibly frustrated with his usage. Russell Wilson and Marshawn Lynch are without a doubt the focal points of this offense, but they will need to get Graham involved more or risk another disgruntled player. It seems unlikely that this will get to the same point as things did with Percy Harvin, but the coaching staff has been unwilling to budge from their plan in the past. I have a feeling that efforts will be made to incorporate Graham into the offensive plans in the coming weeks. This may or may not be effective, but I would find it hard to believe if a player as smart as Russell Wilson could not use his star tight end more effectively. Better days are ahead, but this is not going to look like the point totals put up in New Orleans. Verdict: If someone wants to pay full value for Graham, jump on it. He is above average, but no longer elite. If you're worried about Luck, calm down. I find this one a bit ridiculous, but some people are panicking at Luck's slow start. This Colts team is not going to be what people though, but the offense will get it together. 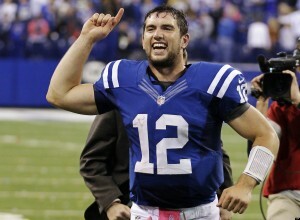 Luck is still an elite quarterback and when T.Y. Hilton is healthy and paired with Donte Moncrief there will be some big plays. If you want to panic about Andre Johnson or Frank Gore, that is a discussion that we should have. Verdict: Hold, unless you are in a league with me in which case I'll take him at a discount. Dez Bryant WR DAL - Hold, he has little value due to uncertainty. DeMarco Murray RB PHI - Buy, he can't get worse than he has been. Get him cheap. Alfred Morris RB WAS - SELL! It's probably too late, but get something if you can. Jeremy Hill RB CIN - If someone is worried about his last performance, buy ALL DAY. Rashad Jennings RB NYG - Hold, but only because I don't think you can get much for him. Dion Lewis RB NE - Sell, love the talent but I worry about Belitricks. Jeremy Maclin WR KC - Hold, better days are coming but not to the extent that he had in Philly.